CHINI LIVE..Keeping up with the latest Buzz! 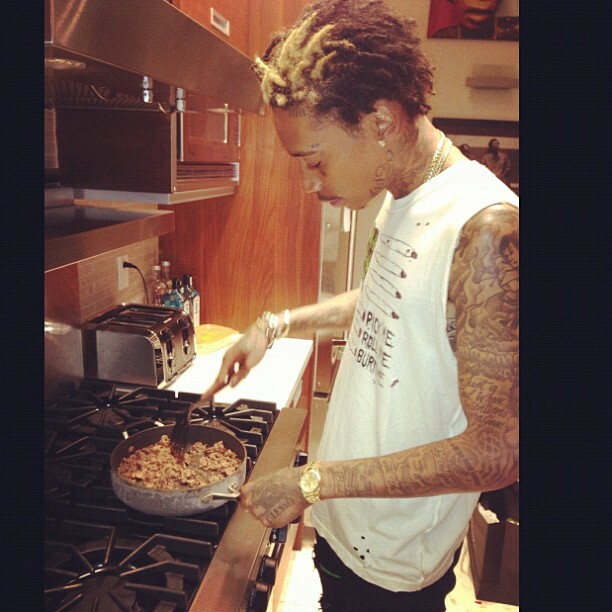 : Should heavily tattooed dread-locked rappers cook? Should heavily tattooed dread-locked rappers cook? Umm..... I don't think so. Looks like the cryptic body ink is connecting the shredded beef to the blonde dread locks. Kidding! Rapper Wiz Khalifa shows his softer side while cooking for pregnant, Amber Rose.